ADULT PDT is entirely FREE* and open to the general public. PDT is designed to make students and the public more aware, prepared, and ready for any hostile situation anywhere. NEW: Teens PDT (ages 13-19) and Kids PDT (ages 8-12)! 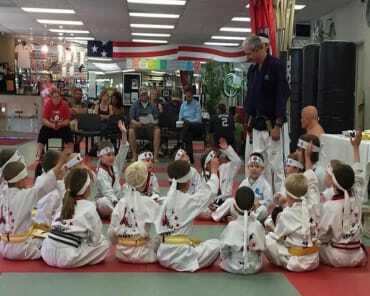 One week of each month Azad's Martial Arts have dedicated a one-hour class Monday-Friday from 3:00pm-4:00pm for their self defense training. Teens can now learn and train 5 days a week at Azad's Martial Arts Family Center. The first session runs February 20-25, call Azad's at 530 892-2923 to register. Each ADULT PDT session is twice a week for three weeks and will be offered every month. 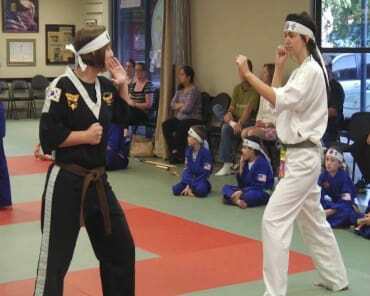 Classes will be held at Azad’s Martial Arts Center located at 313 Walnut Street Suite 150 in Chico. Cutting edge personal safety tips for men and women known as Safety Awareness Skills (SAS). 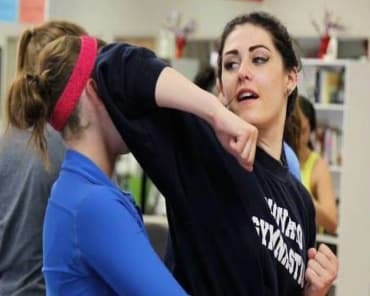 The single most important step you must take to handle an attacker. The fastest get-away techniques from any type of grab or hold. Ten most effective disabling targets you must know. Six defensive skills that can make a life or death difference when under attack. No nonsense, simple, street-proven techniques you must know. *Pre-registration is required. 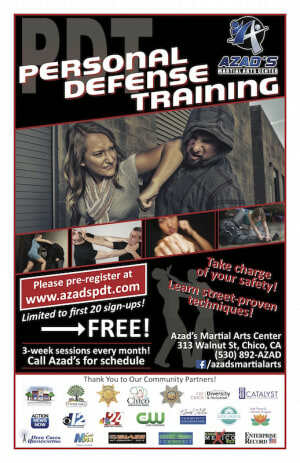 For more information please visit our website at http://www.azadspdt.com or visit us at our Facebook page, Azad’s Martial Arts. There is limited space, so to guarantee your spot please contact Azad’s Martial Arts Center today at (530) 892-AZAD (2923) or 896-0777. CLICK HERE to view original KPAY1290 NewsTalk article!